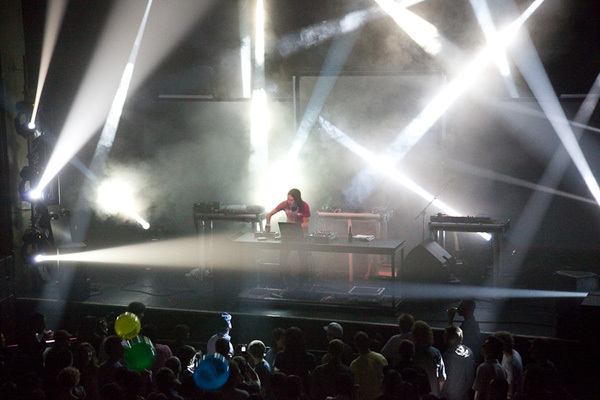 This past June 2009, aficionados of cutting edge electronic music the world over converged on Montreal for an epochal event: the 10th anniversary of the renowned MUTEK festival. 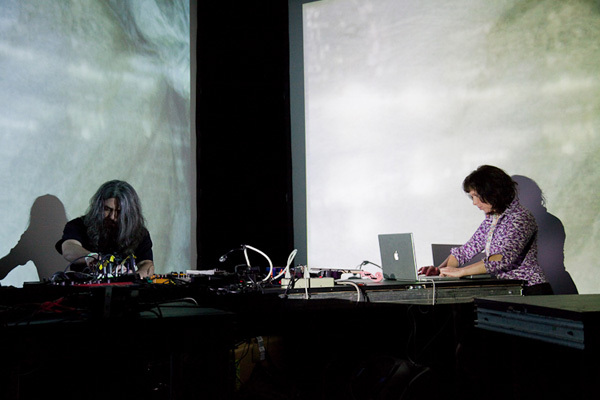 Known as an international rendezvous point for artists, critics, and tastemakers of the electronic avant garde, this year was especially significant as the anniversary celebrations called for additional programming and a lineup packed to the hilt with luminaries. 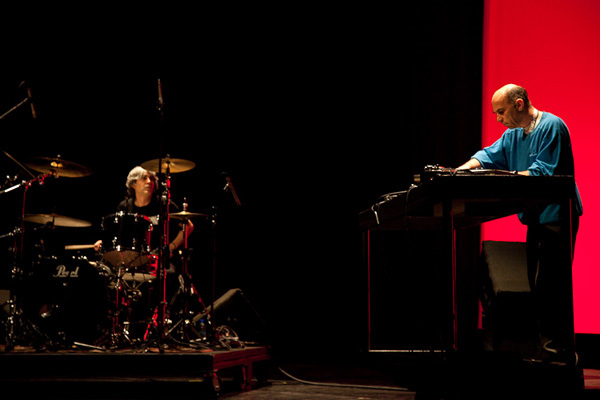 Indeed, more than any other edition of MUTEK, the legendary figures who helped to found and shape the seminal micro-genres of electronic music were present in full effect for MUTEK_10. 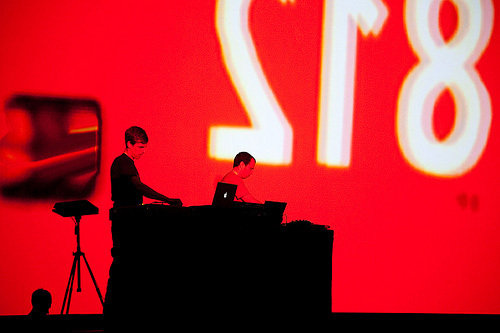 What follows is a spread of work at the festival captured by photographer Landon Speers. 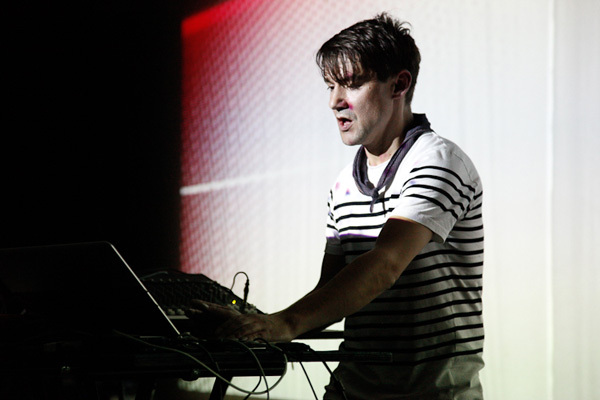 I have endeavored to provide a brief description of each of the acts depicted; by no means is it an exhaustive survey of the incredible breadth and depth of MUTEK's 2009 programming. 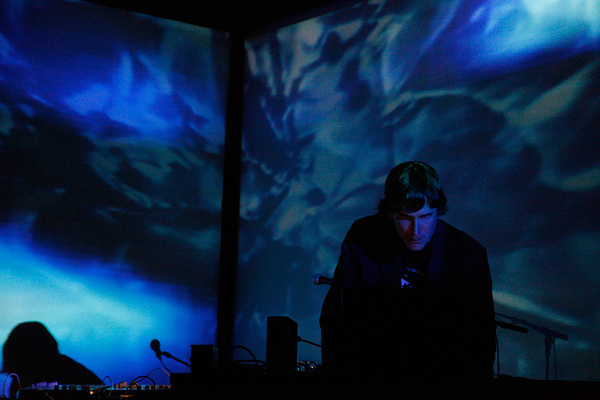 The Fun Years shuddered and skipped through the ashes of a city with their gloomy, loop-centric ambient music with visuals from Justin Manor. Montreal's mad scientist of the turntable Martin Tetreault collaborated to disconcertingly (and cathartically) jittery effect with legendary Voivod drummer Langevin. Lusine submerged Metropolis' upper room in the day-glo gauze of his bubbling soundscapes. Aun, visually fortified by de.i.te, broke out his trademark pink violin (visible above) and blasted sheets of distortion over the room. Deadbeat cleared sinuses on the dancefloor with his inconsiderately massive basslines, and his electric stage presence kept bodies moving after the blow. 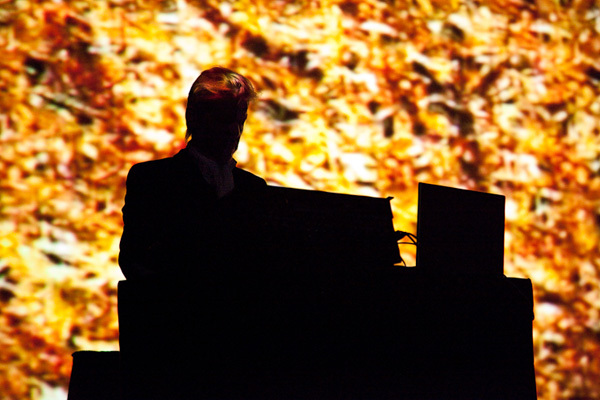 Wolfgang Voigt opened the festival, performing his legendary Gas, with visuals by Petra Hollenbach, reminding us of the genesis of ambient and minimal electronic music, and pointing the way forward. Byetone's innocuous appearance is surely a front for his impossibly precise, sonically perfect blasts of sculpted, angular "dance" music. 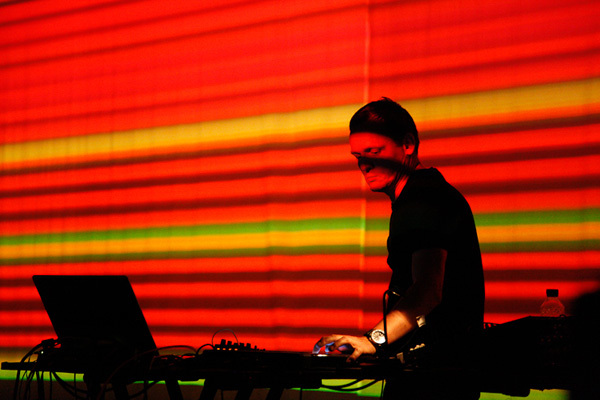 Carsten Nicolai's triumphant performance as Alva Noto in many respects constituted a high watermark of the festival, as the writhing demon pope of minimal glitch once again made imitation seem an impossible feat. A devastating set.